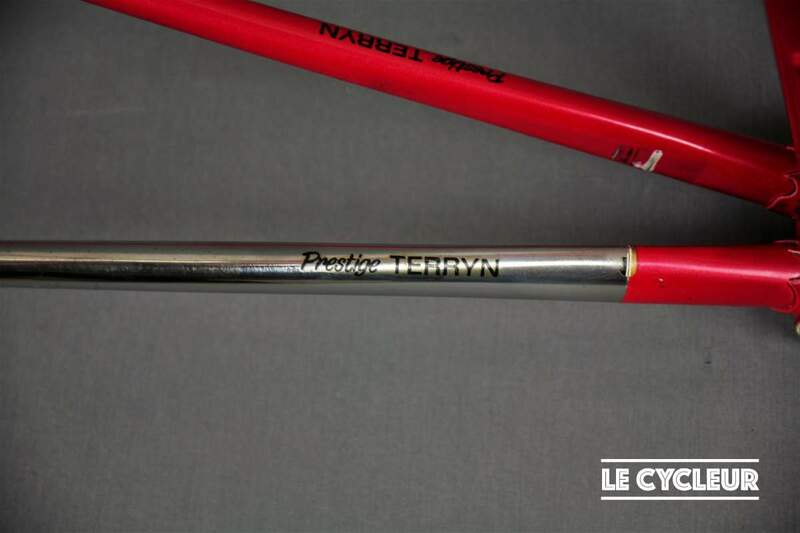 Who was Charles (Karel) Terryn? 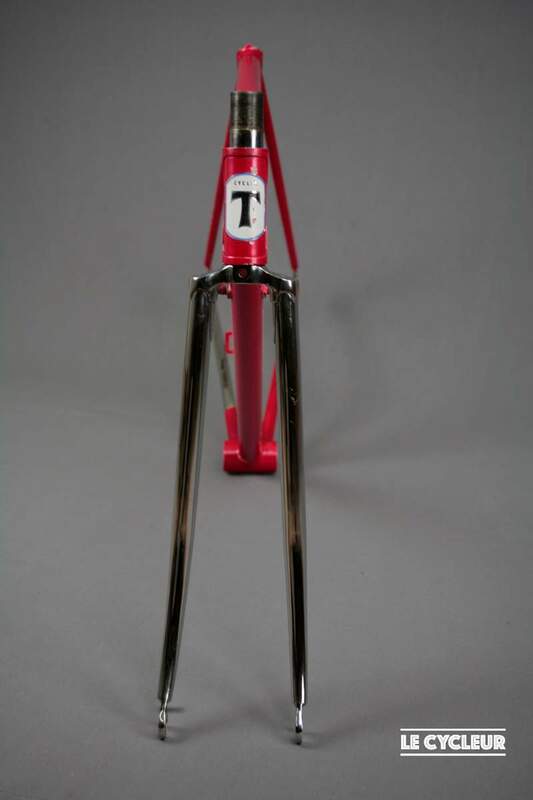 Charles Terryn was a former Belgian professional cyclist who raced form 1943 to 1960. 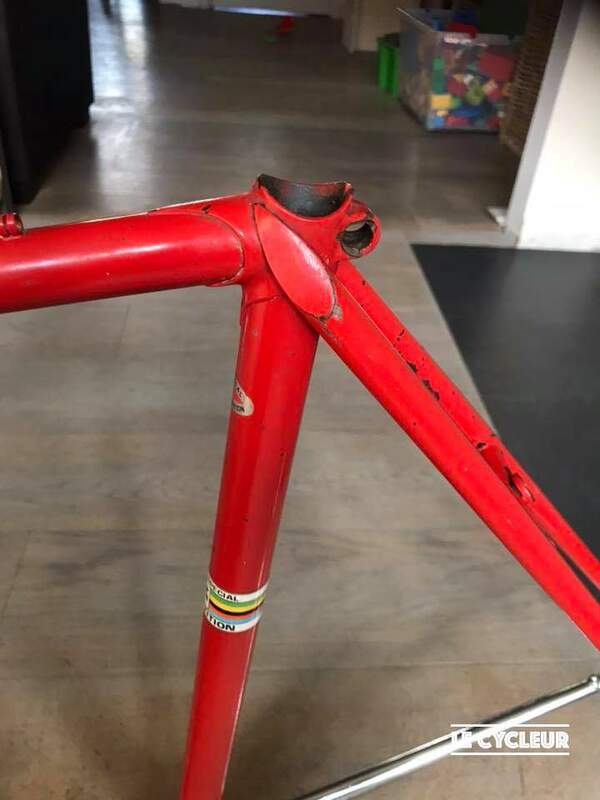 After his career, Charles took over his father’s cycle shop. 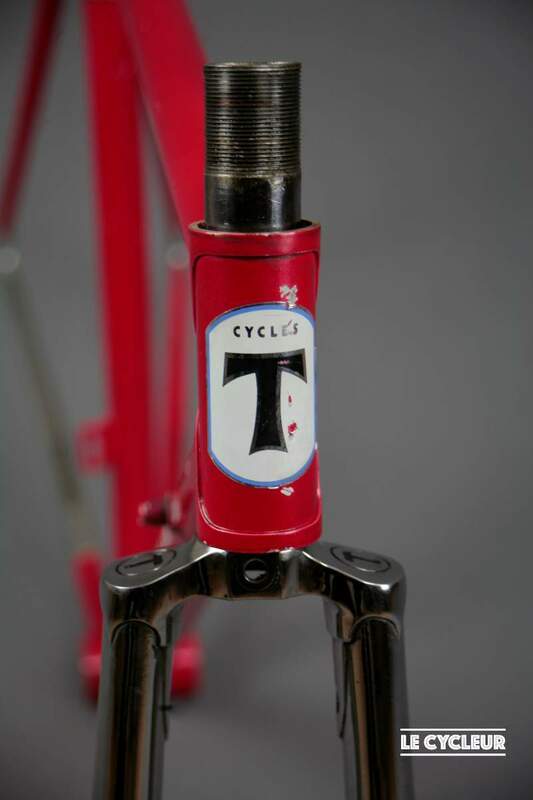 In 1960 Charles Terryn became a mechanic for the Carpano team, with Rik Van Looy. 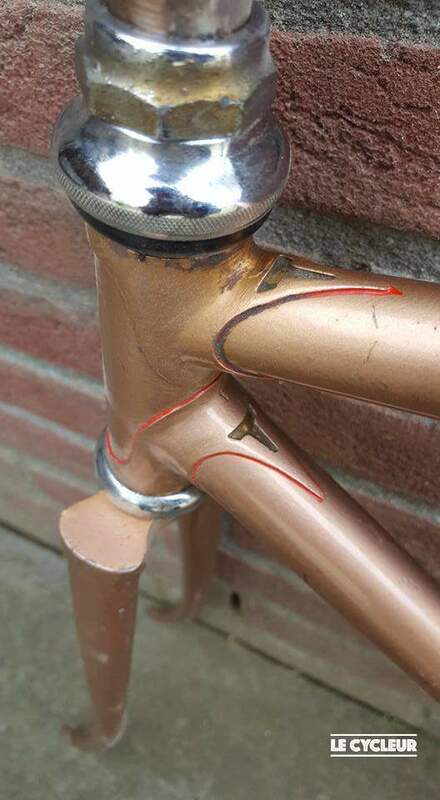 After that, he moved on to Faema, GBC, Solo and finally Willem II. 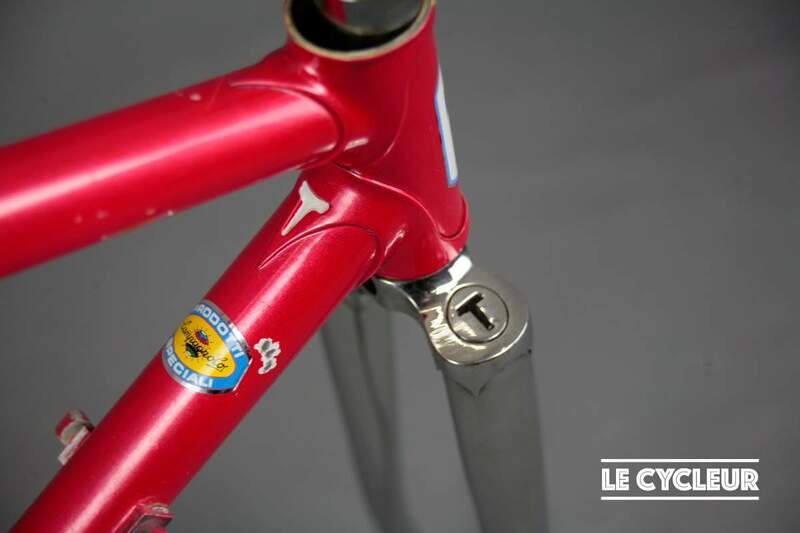 He had a close association with the Belgian cycling legend Eddy Merckx. 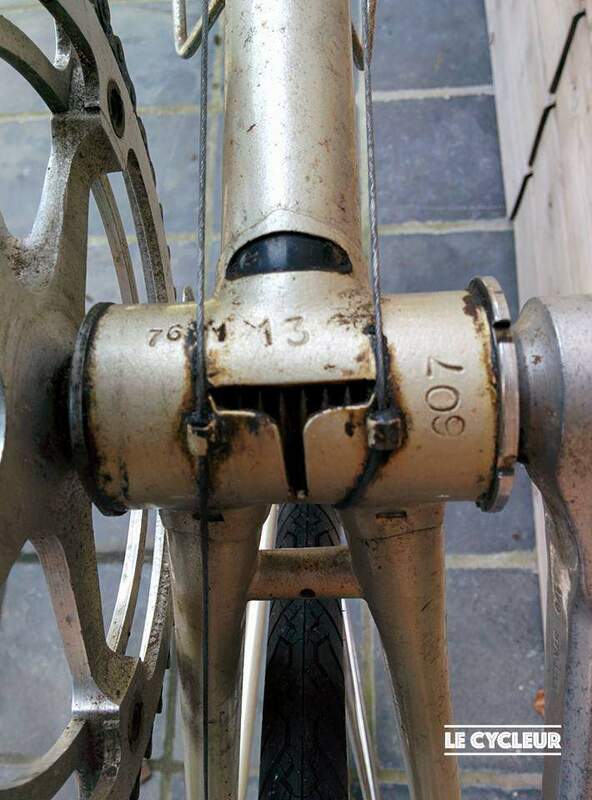 Apparently Charles was the absolute master in changing a rear wheel and pushing the cyclist back into the race, nobody could do that as fast as he did. 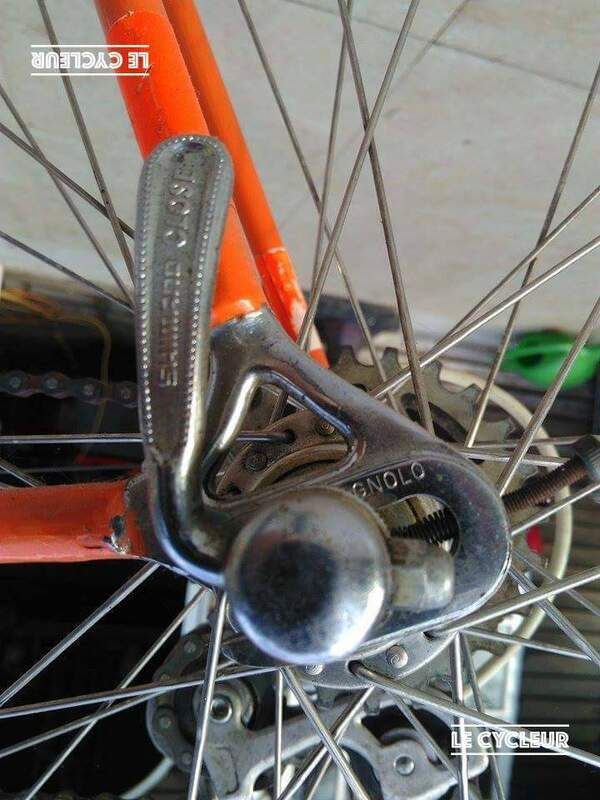 He was a good salesman. 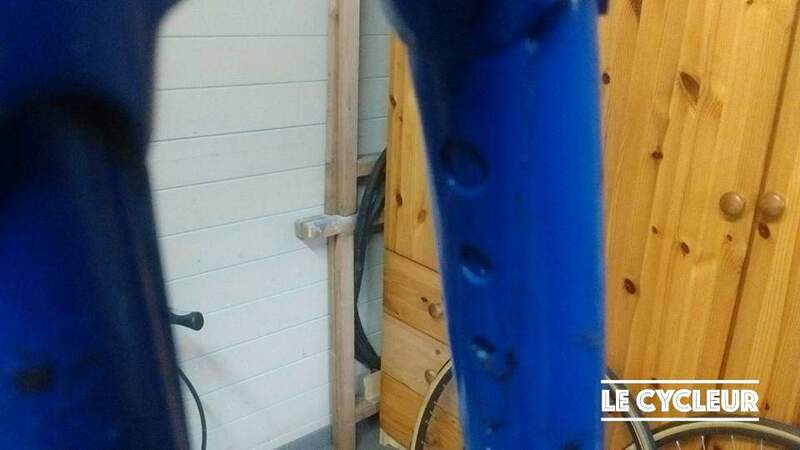 Nevertheless, his shop was mostly run by his cousin. 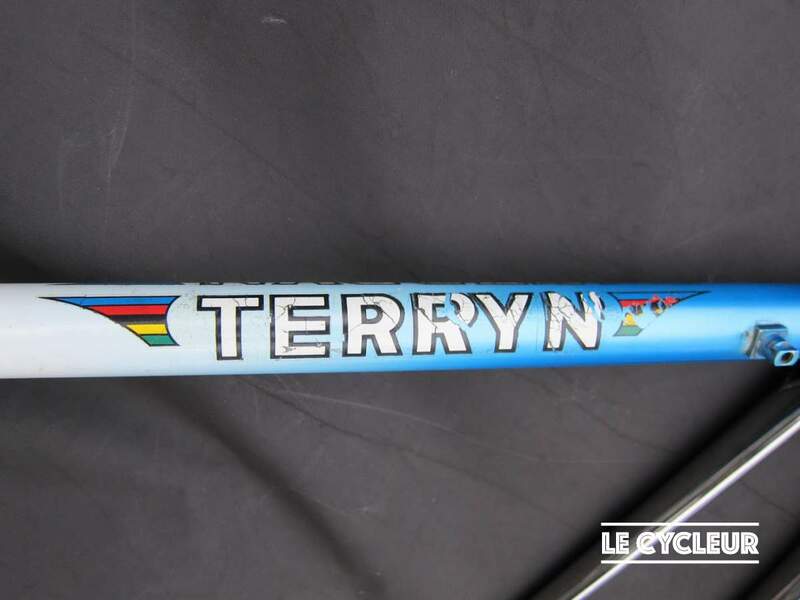 Terryn was settled in Anderlecht (near Brussels). 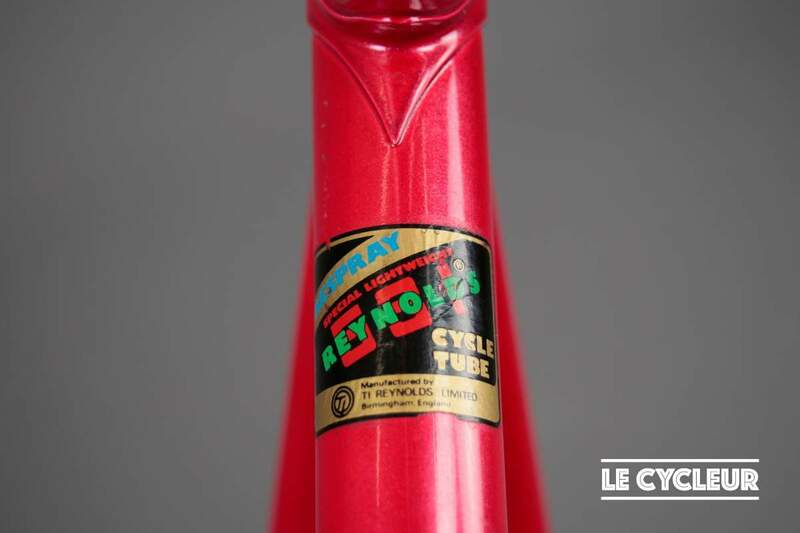 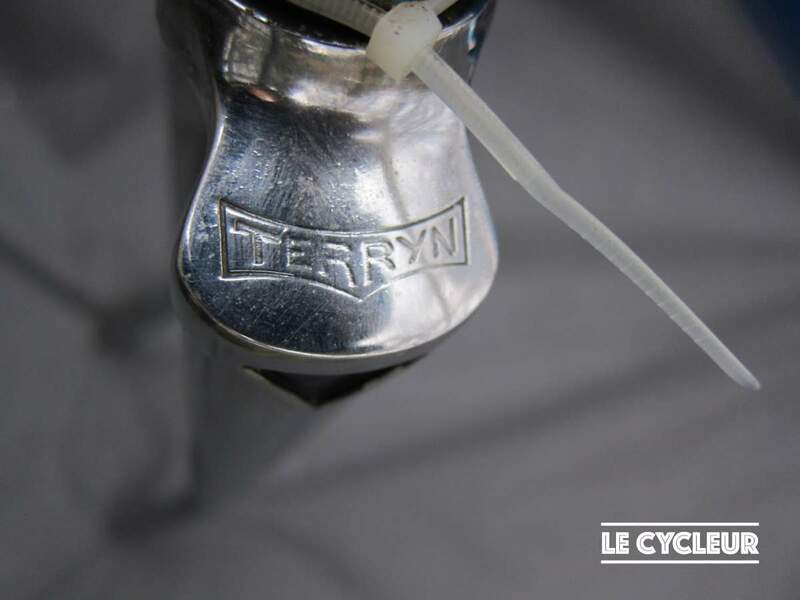 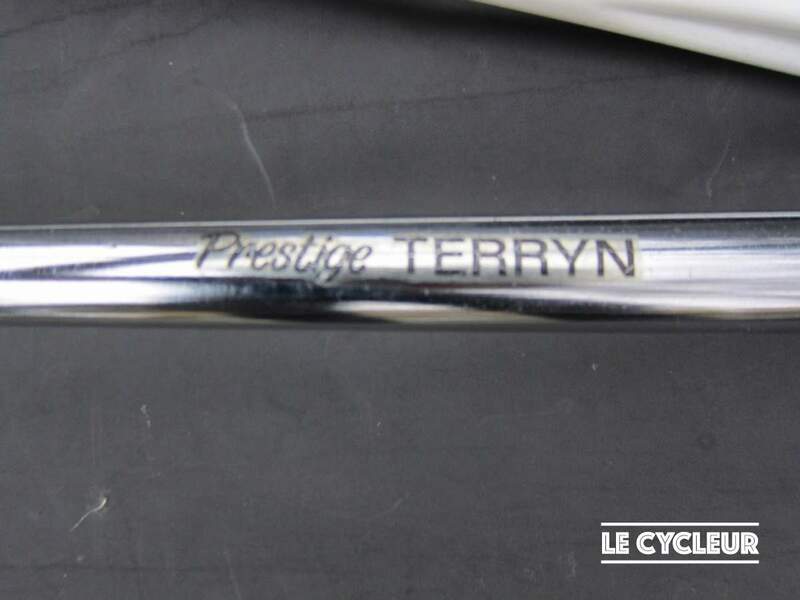 Charles was the mechanic for the Belgian pro cyclist Eddy Merckx who was a customer at Terryn cycles during his childhood. 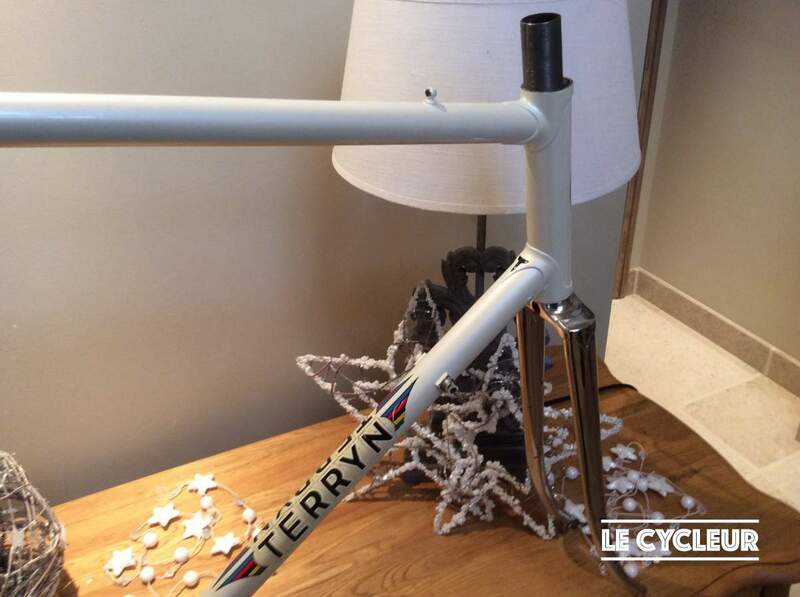 Story goes that Eddy met his wife 250 meters away from the Terryn bike shop at a cafe from his future wife’s dad. 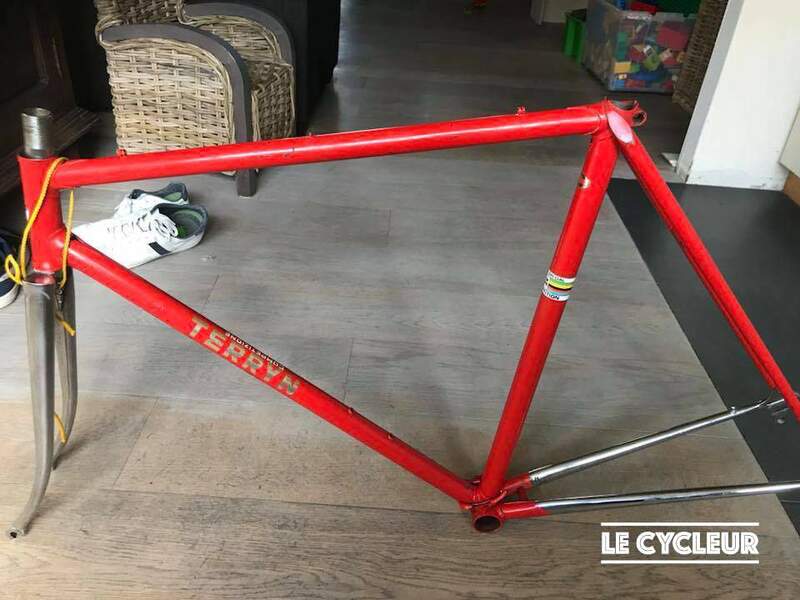 Next to Plum (not to be confused with Plume from Ghent) Terryn was THE bike shop in the late 60’s and 70’s in Brussels and surrounding areas. 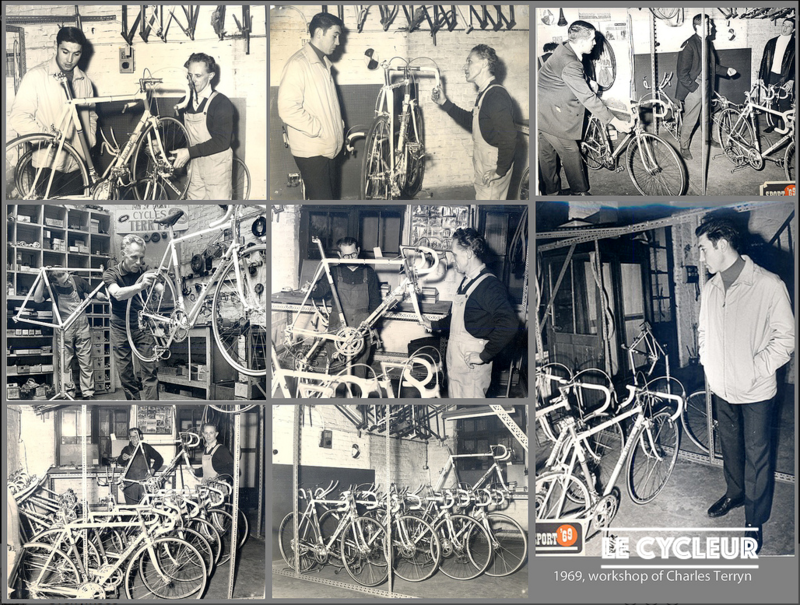 We have been told that the shop later on moved to Sint-Pieters-Leeuw, where it still exists and is owned by the son. 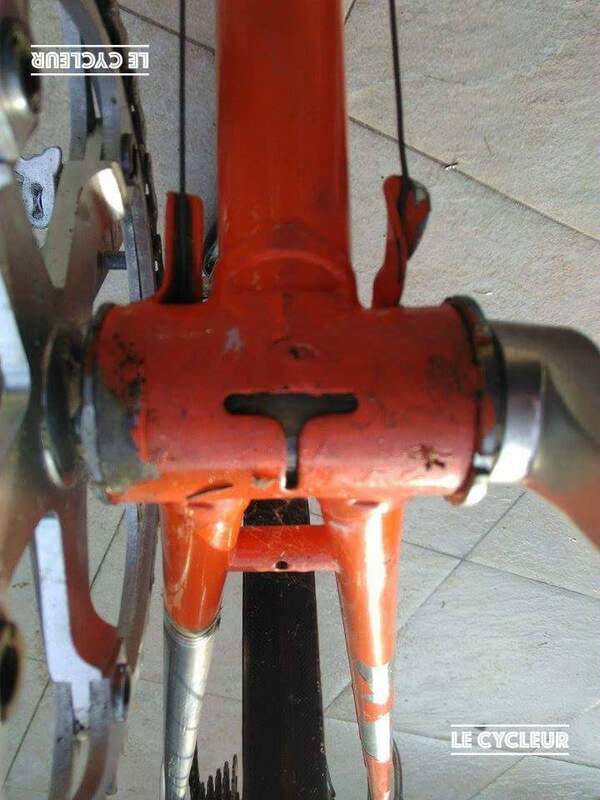 (to be confirmed). 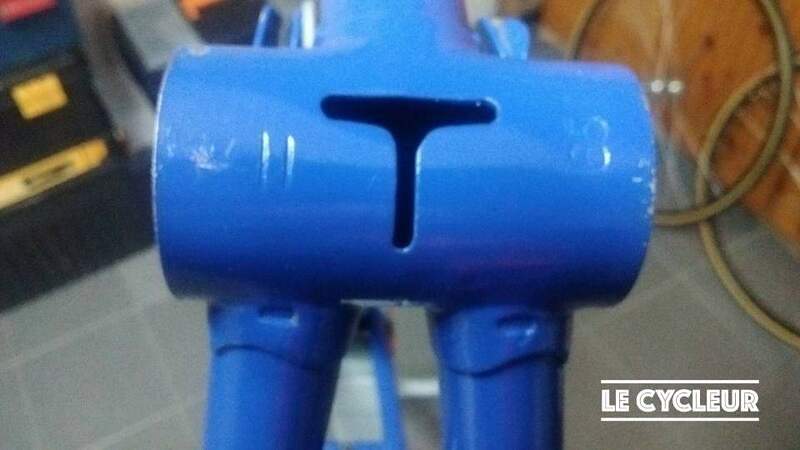 Unfortunately the authentic character got lost somewhere along the line. 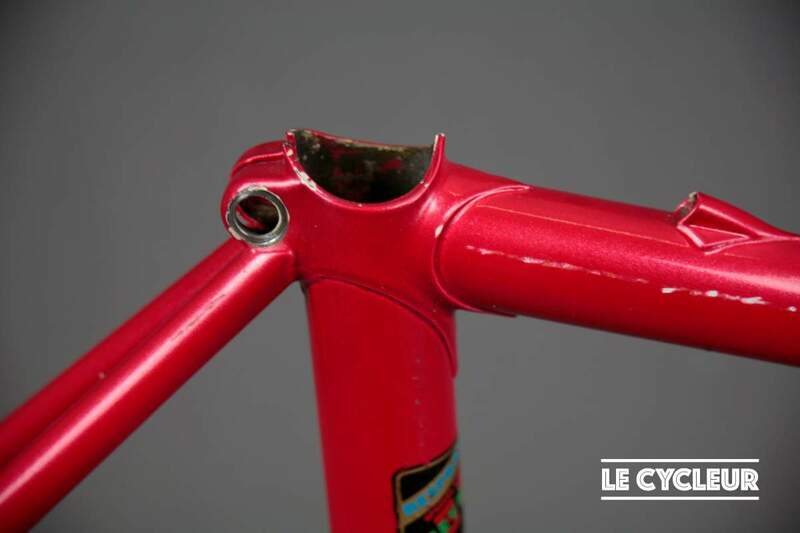 Charles never built his own frames. 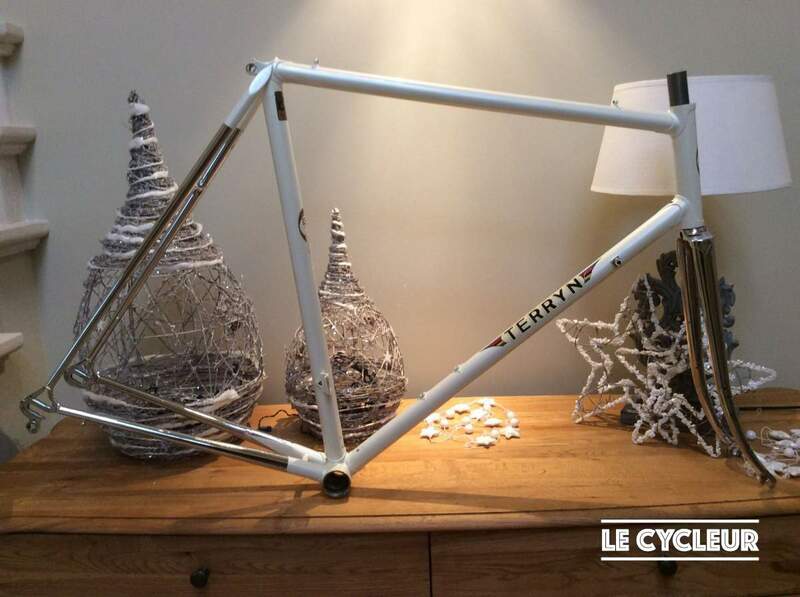 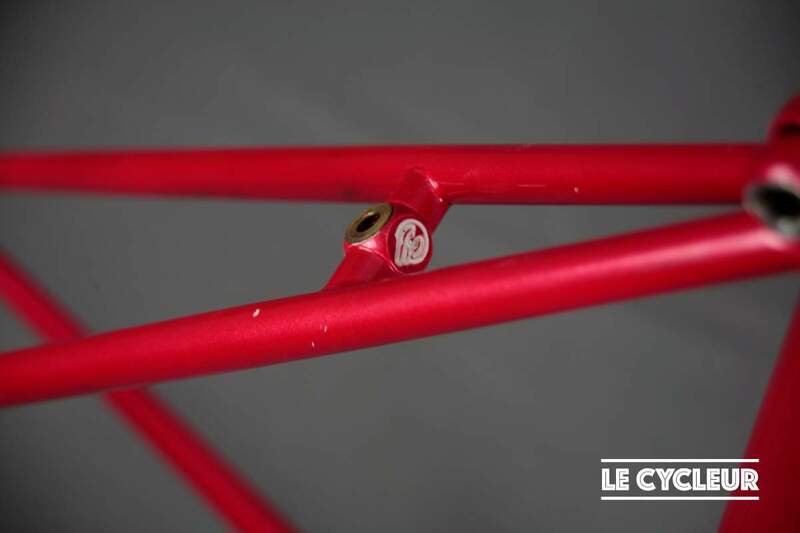 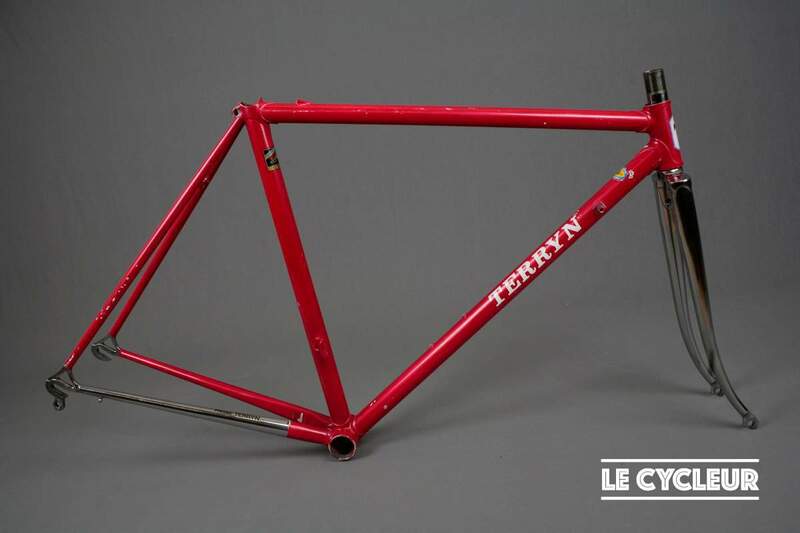 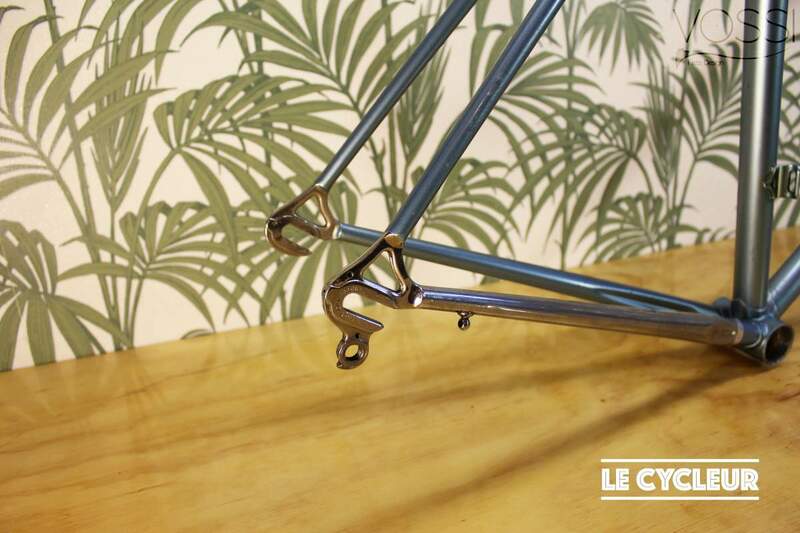 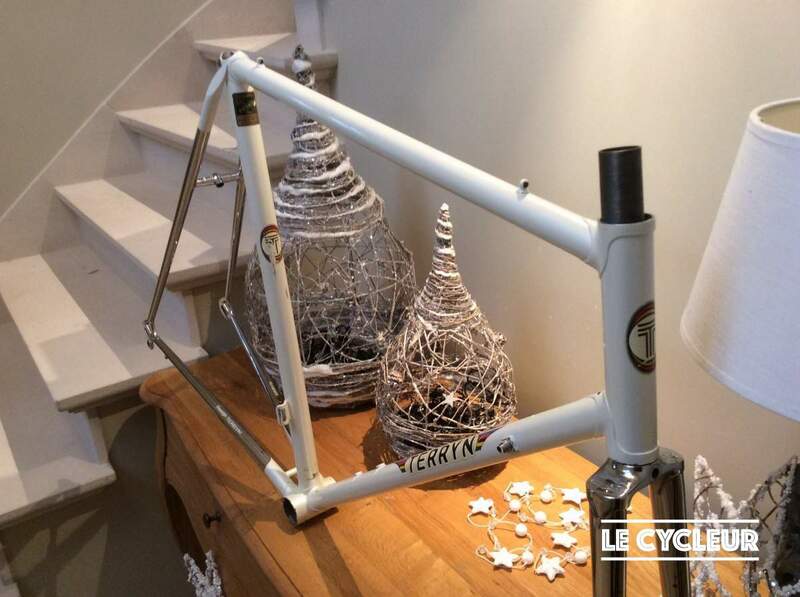 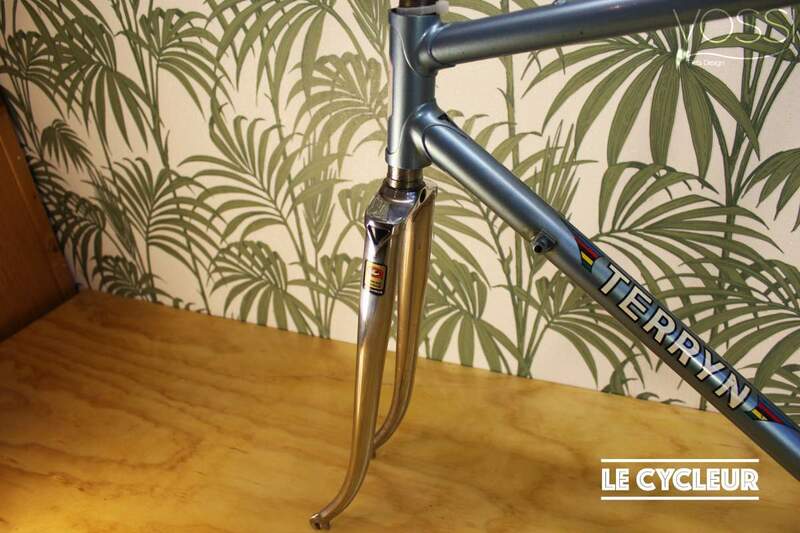 To build professional race frames, Charles Terryn relied on master frame builders like Weymans (Mechelen) and Roger Dereycke (Brussels, also built frames for Plum). 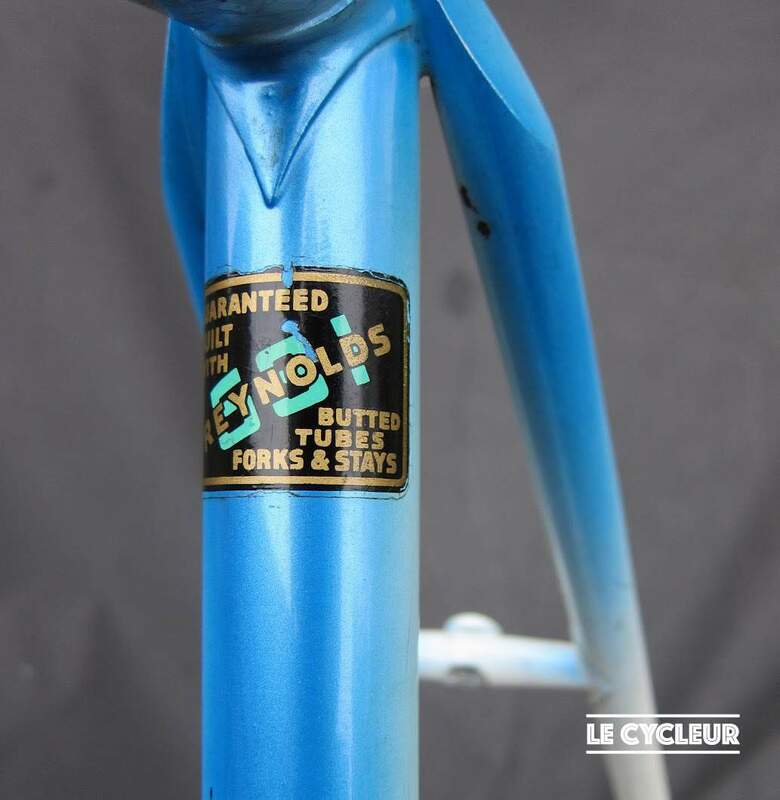 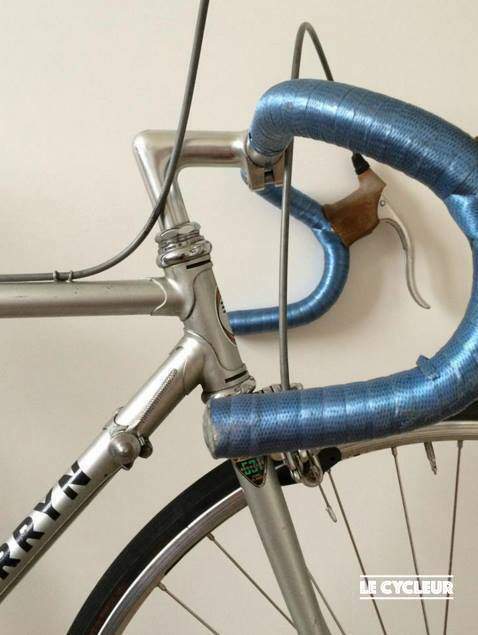 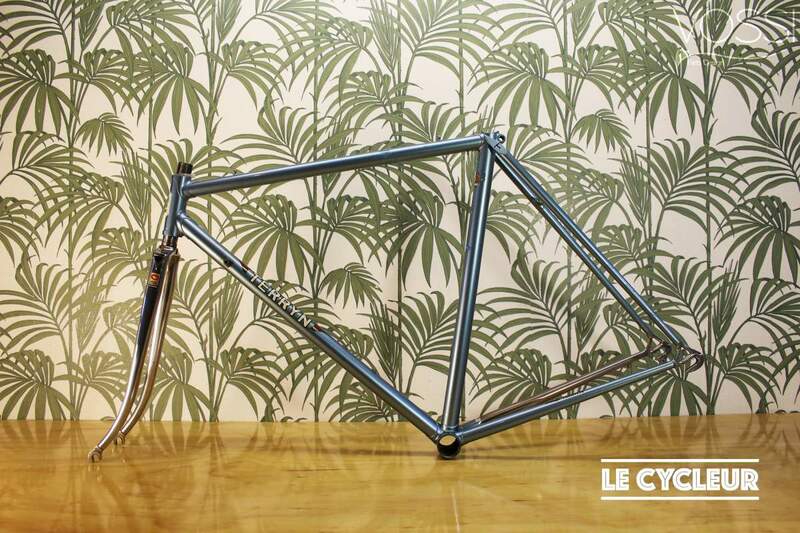 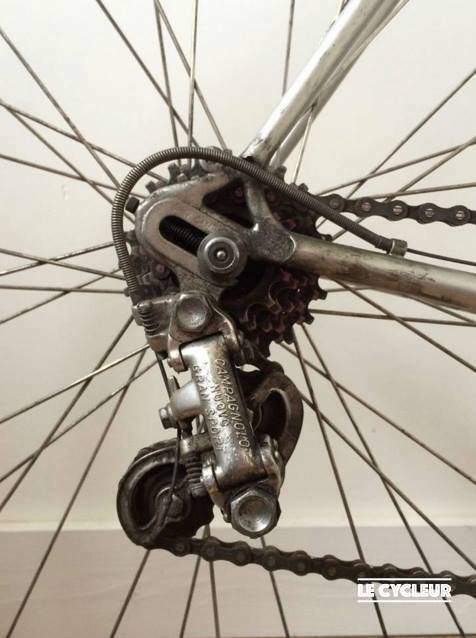 Charles was obsessed with Reynolds 531 tubing and Campagnolo parts. 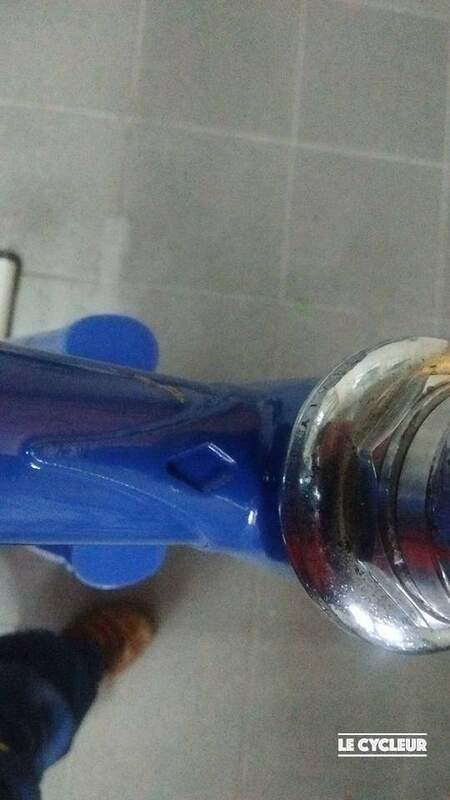 Getting something else from him was nearly impossible. 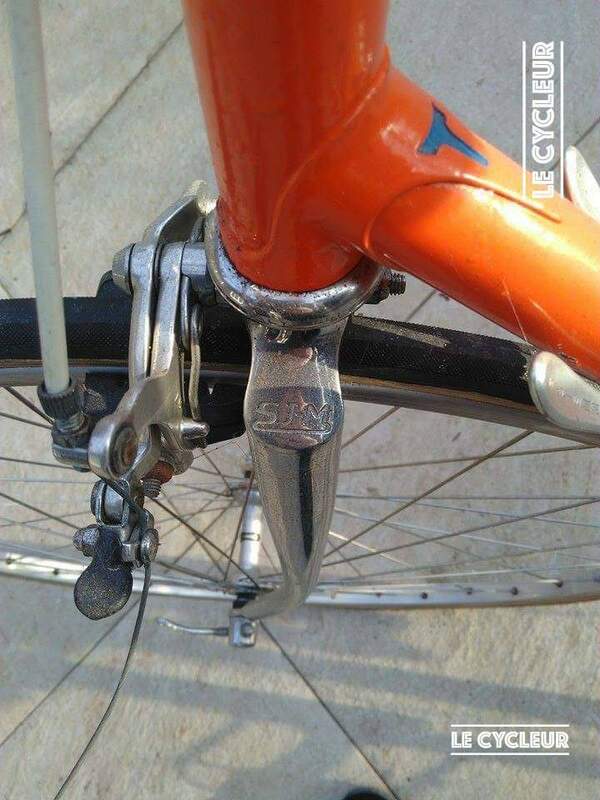 If you asked for Universal brakes he’d look at you with the expression of: “Are you joking”? 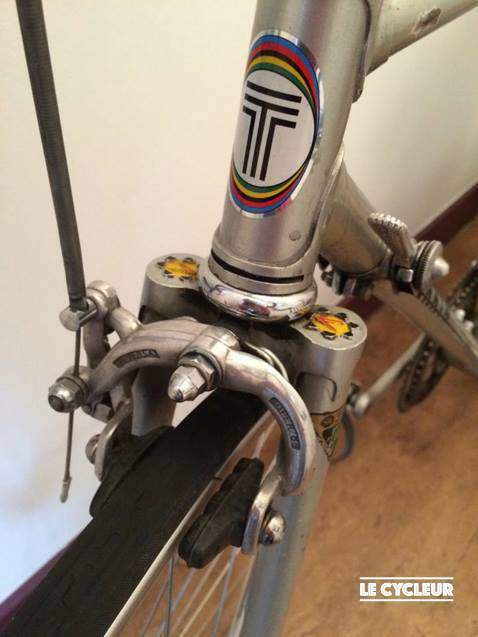 If you were low on cash, he would occasionally throw in Zeus brakes to fit your budget. 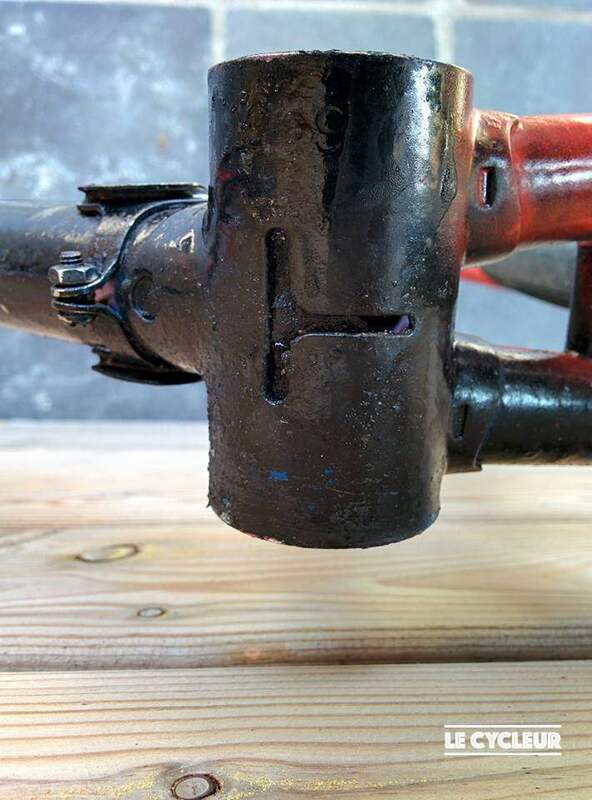 He never went for 753 tubing since he believed it lacked stiffness. 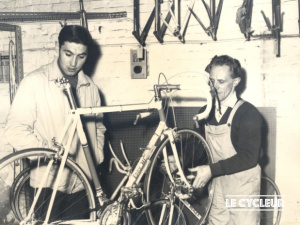 Charles was involved in the Gazelle racing division in the 60’s and that’s about all what we know for sure to be honest… He trained the workers in the Gazelle factory the finesse of setting up racebikes. 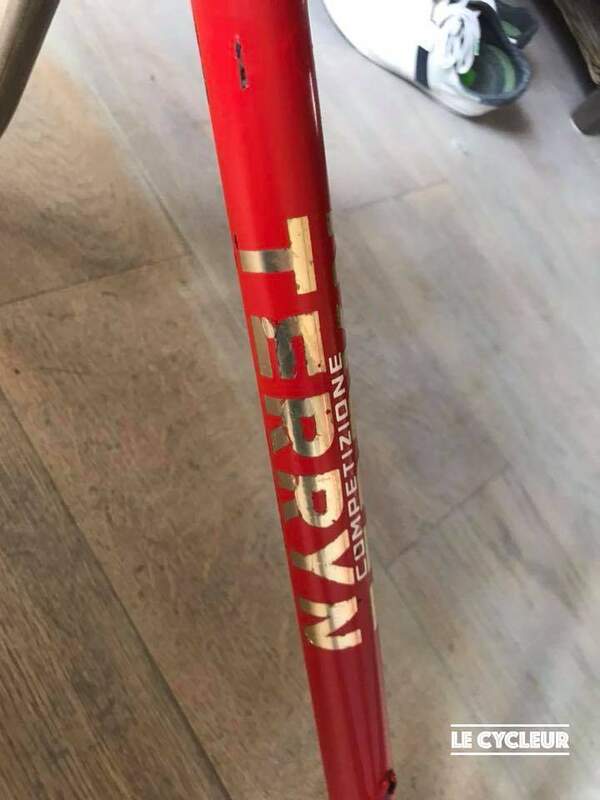 I’ve seen 2 De Rosa frames with Terryn decals and I find it hard to believe it is a coincidence. 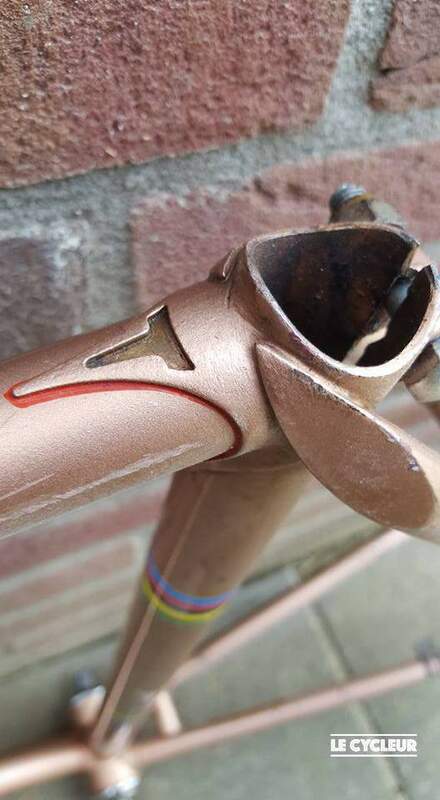 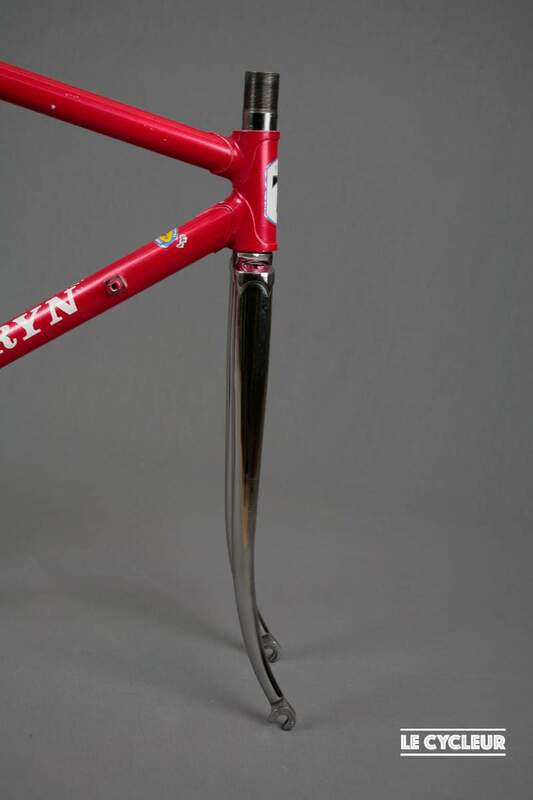 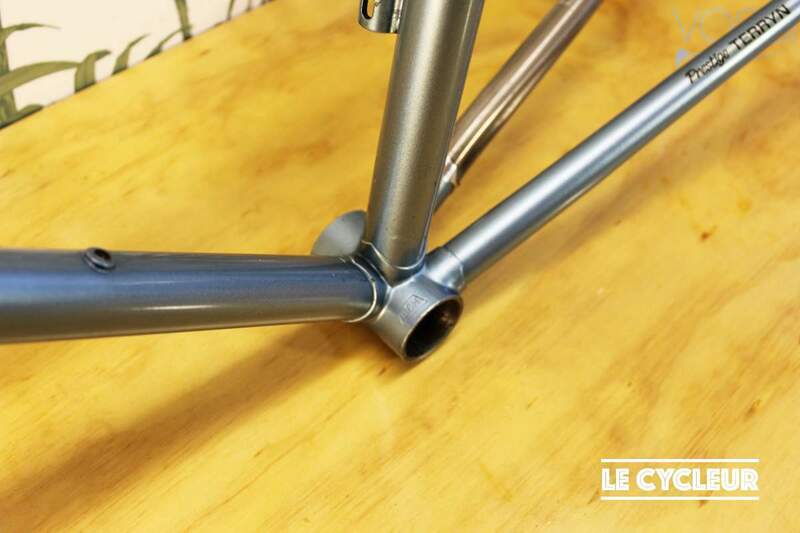 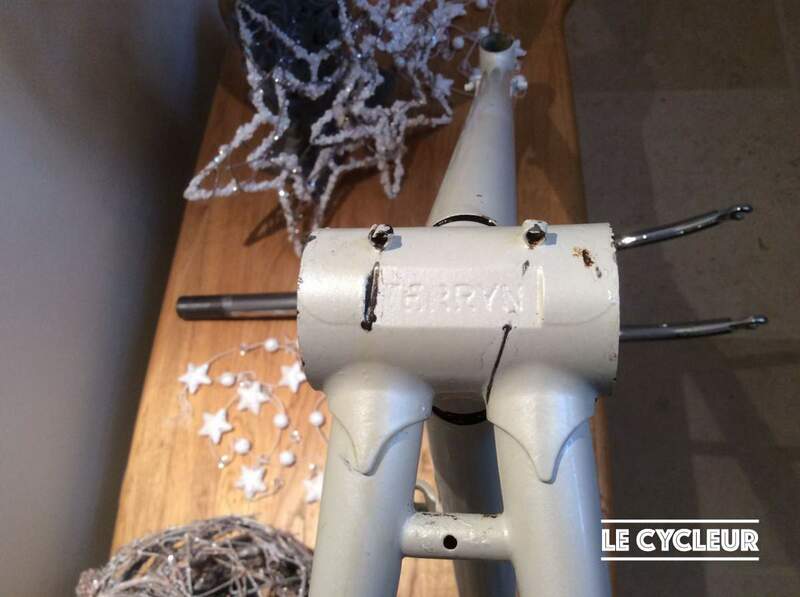 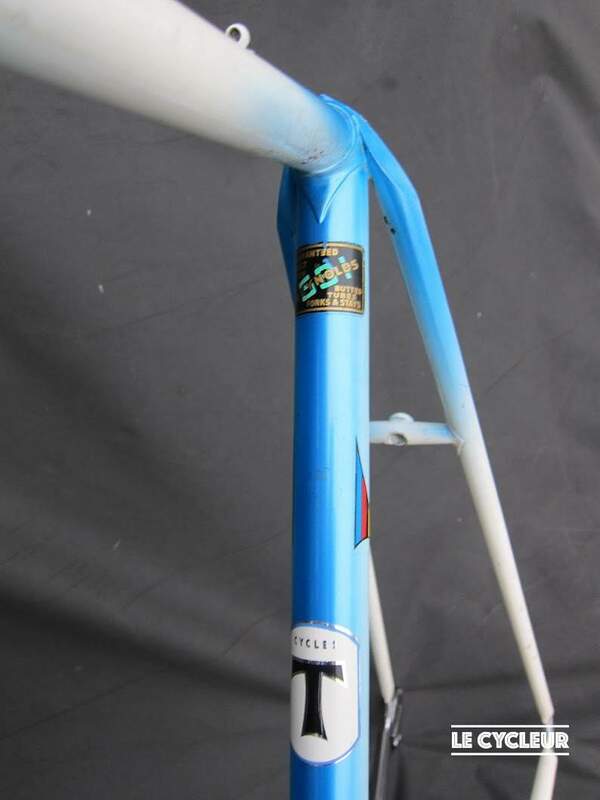 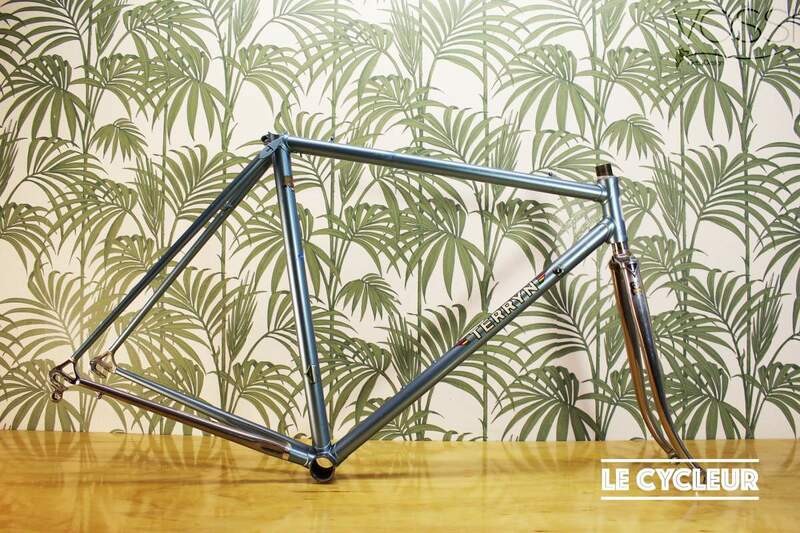 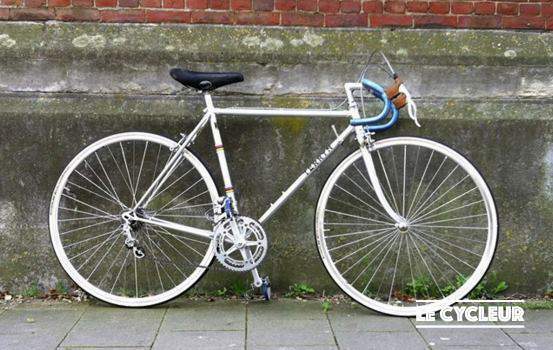 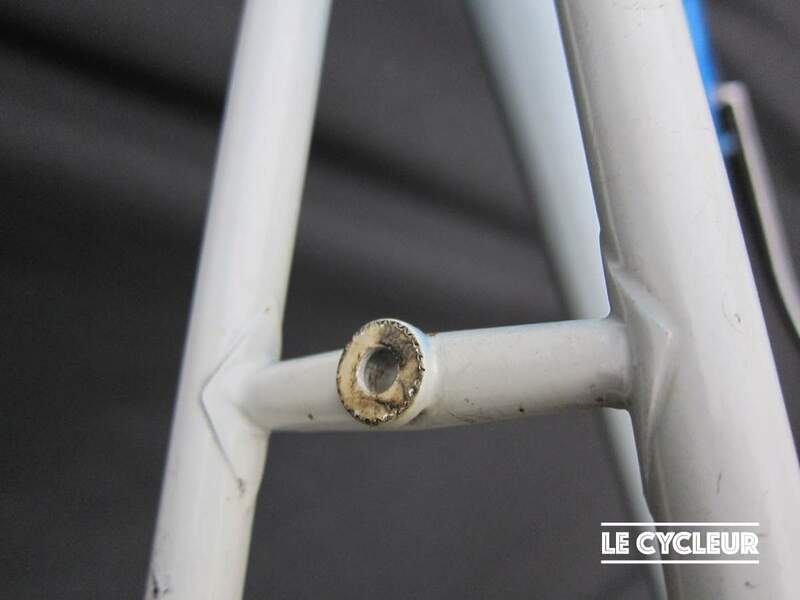 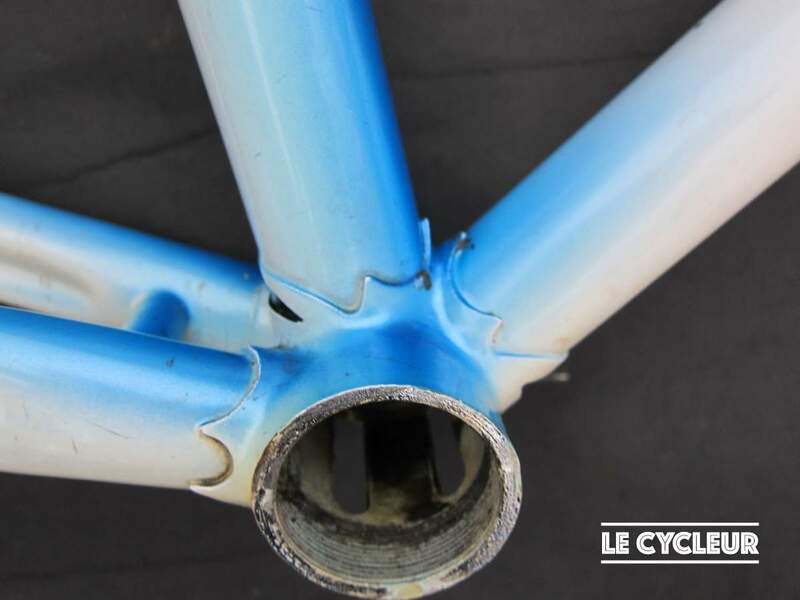 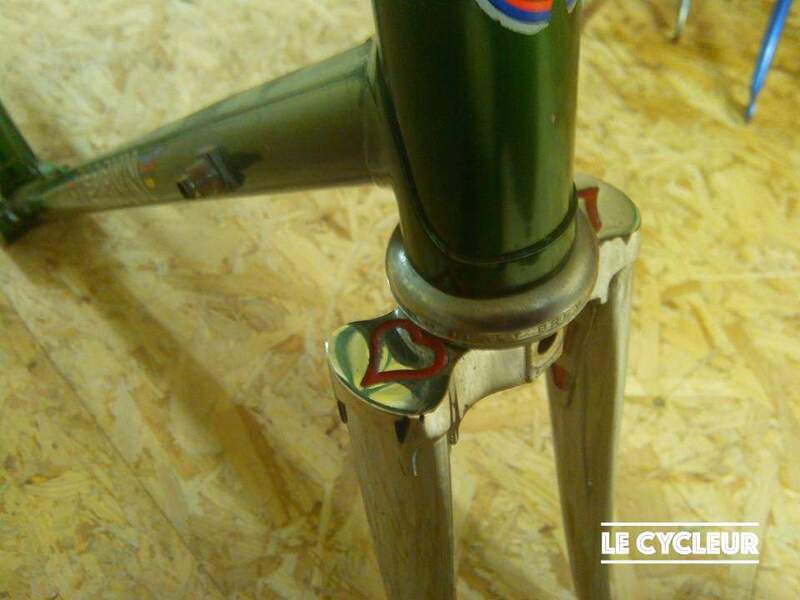 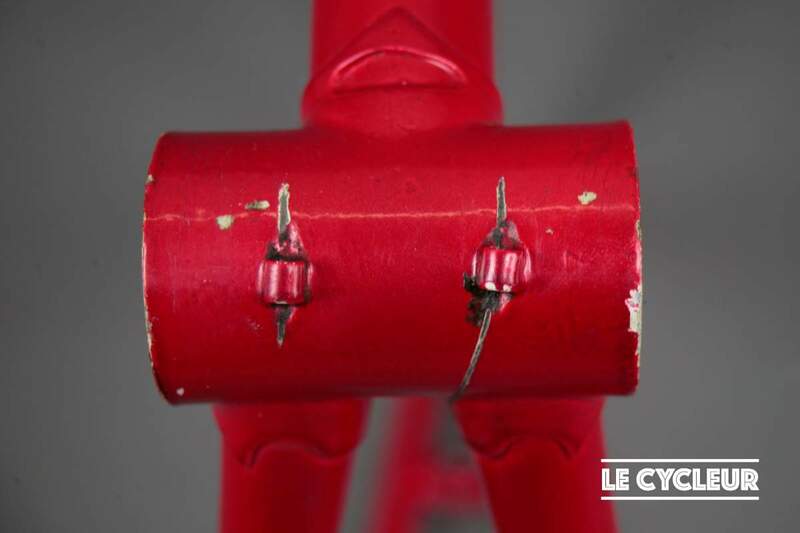 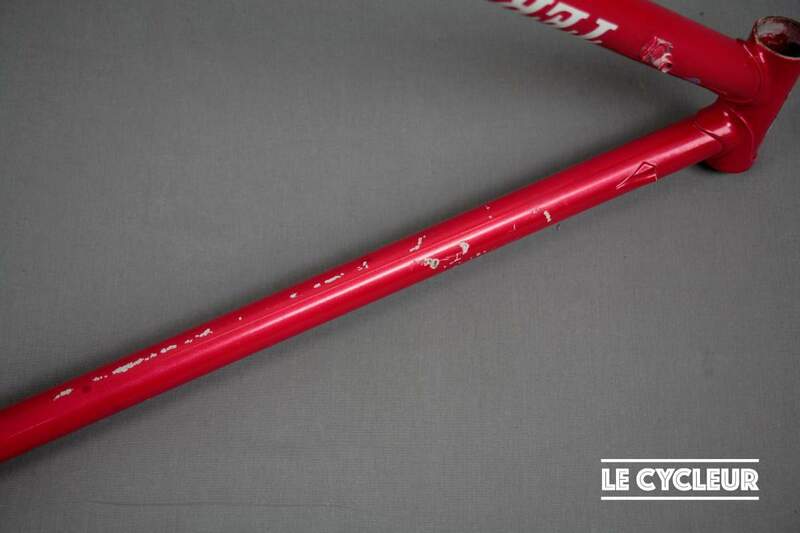 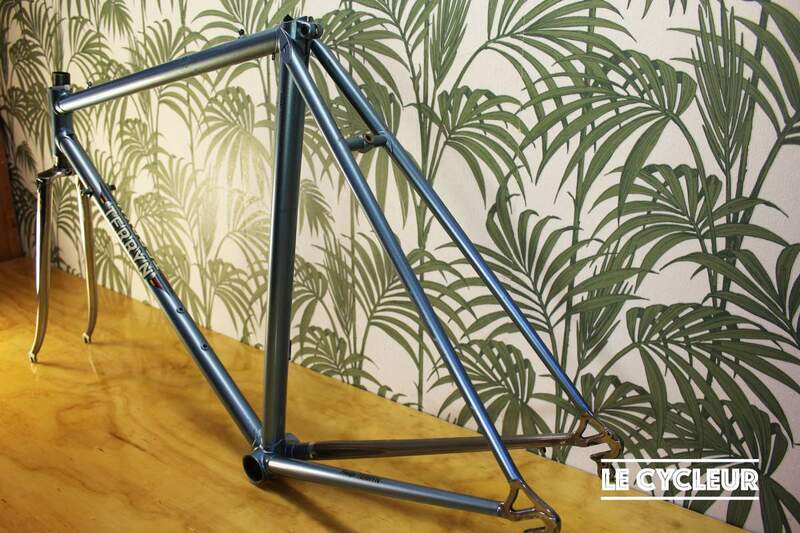 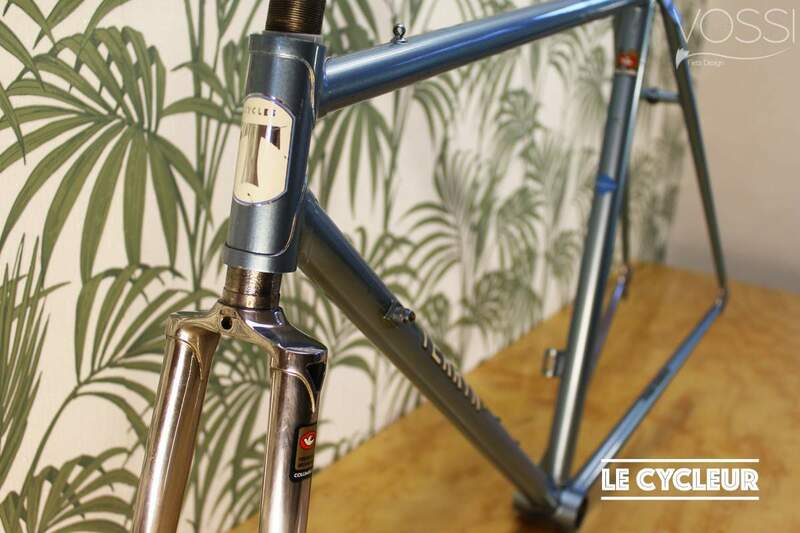 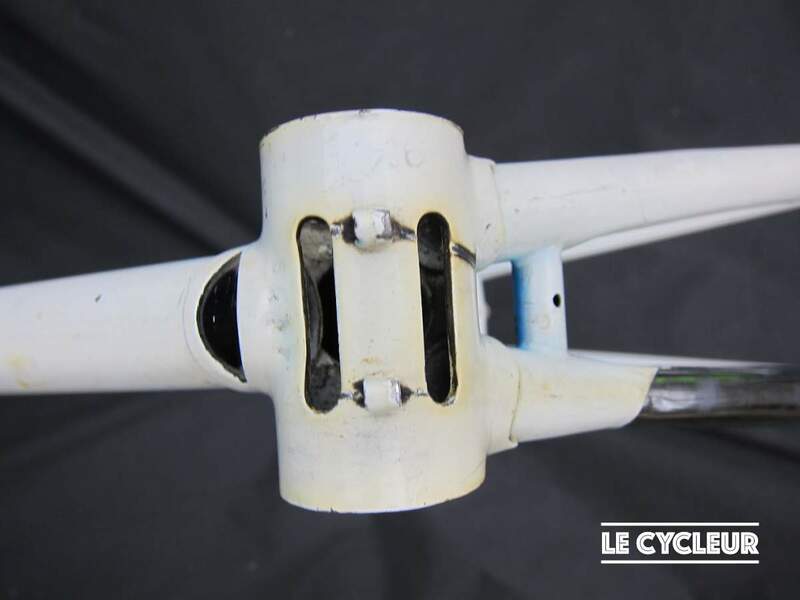 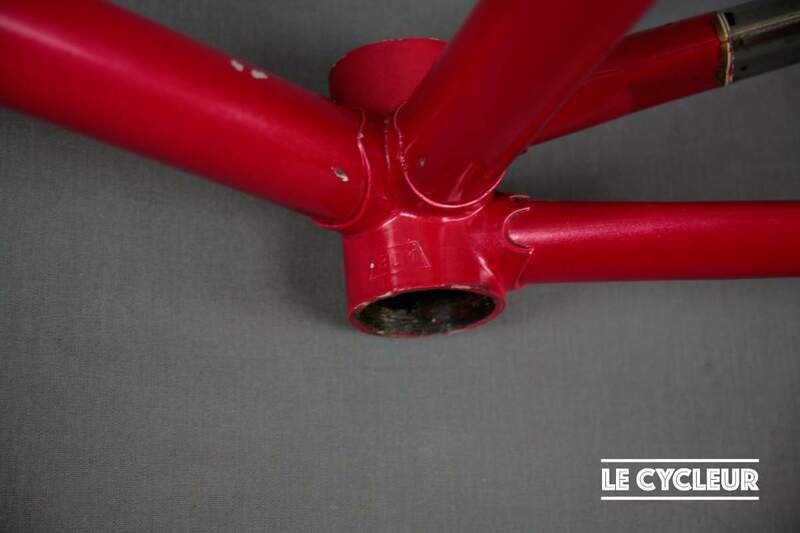 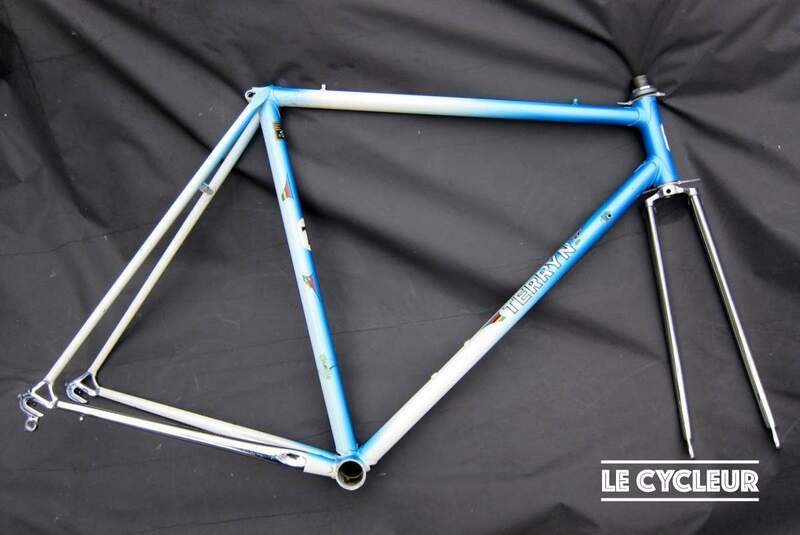 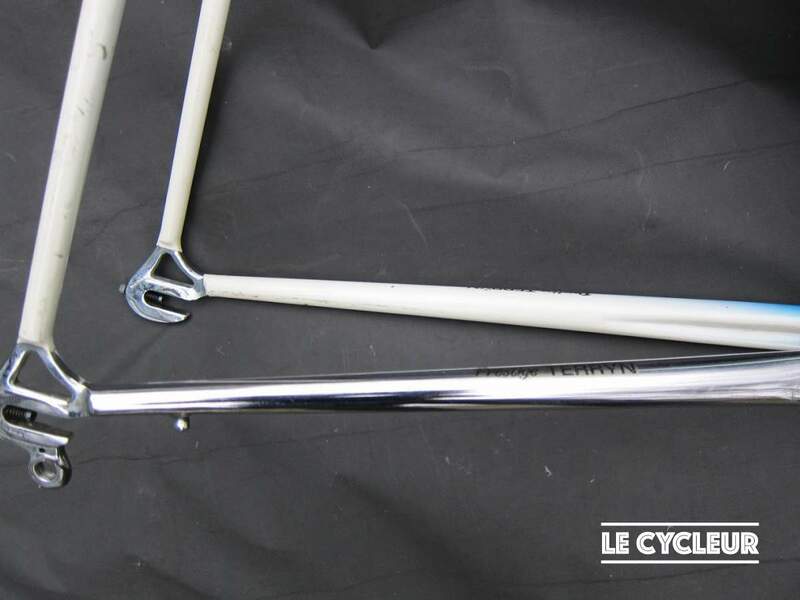 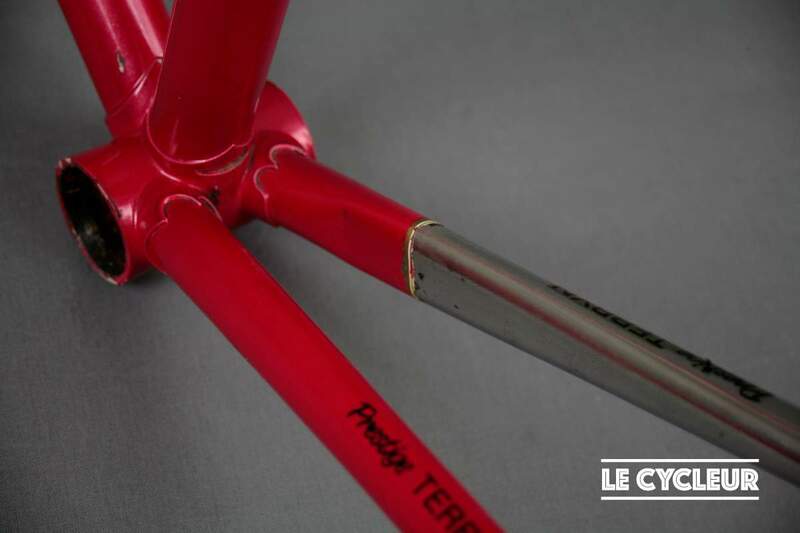 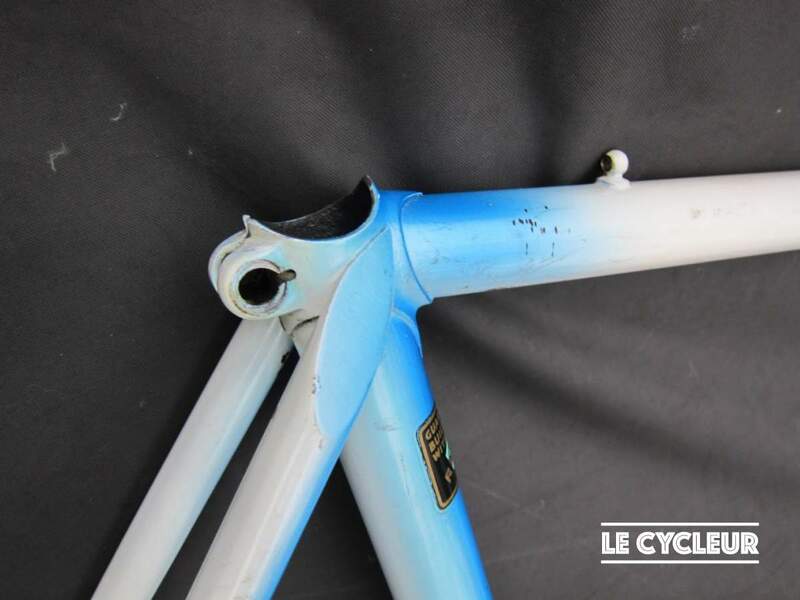 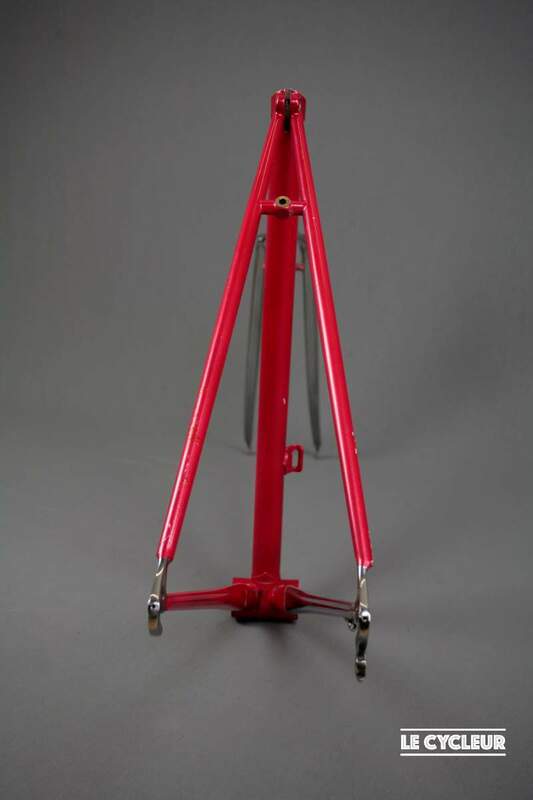 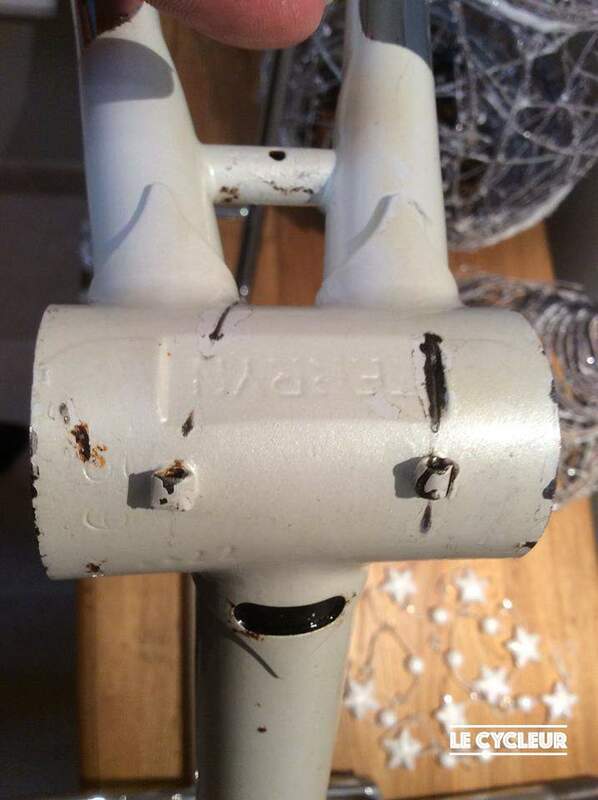 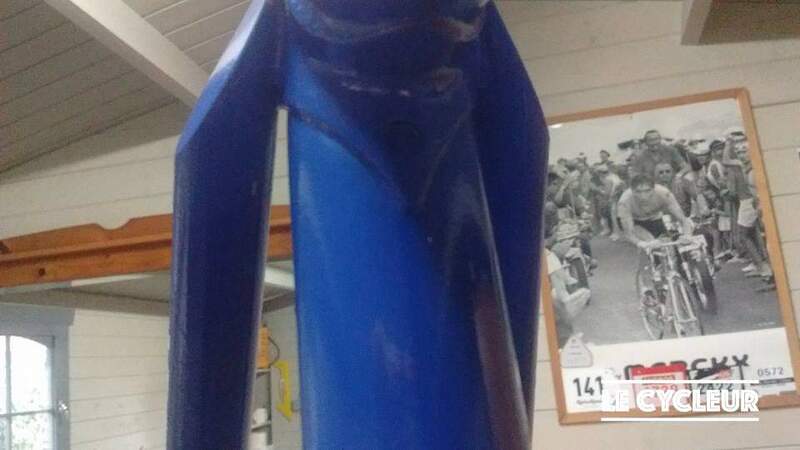 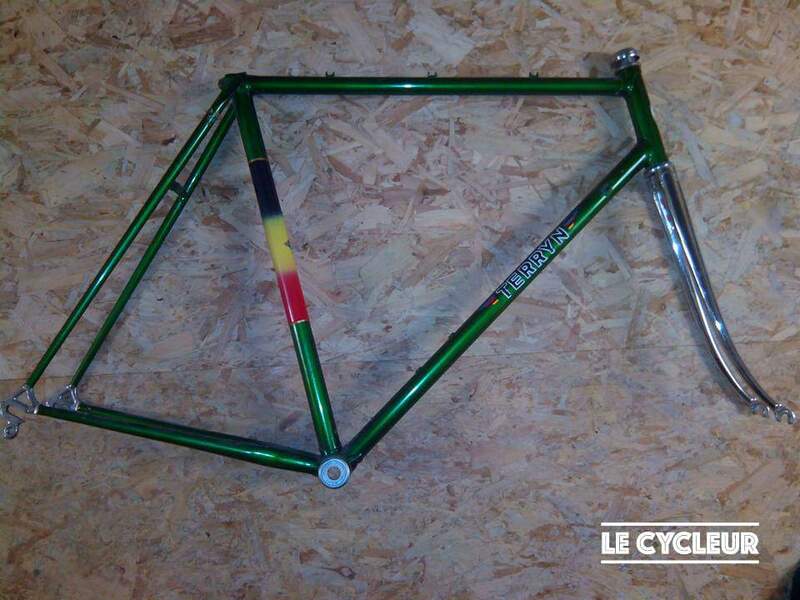 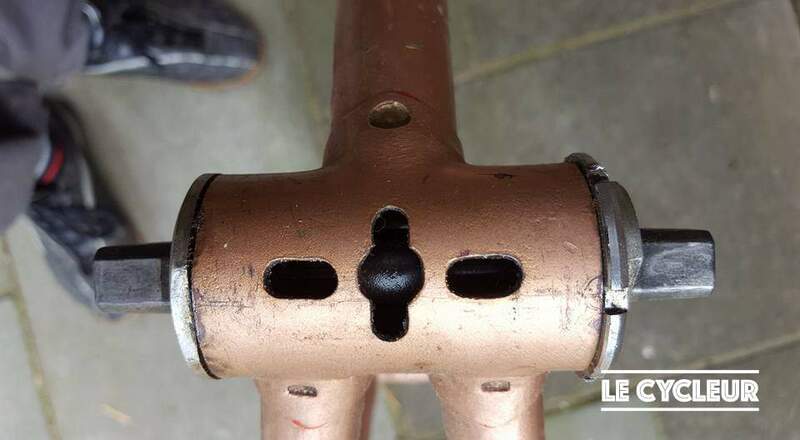 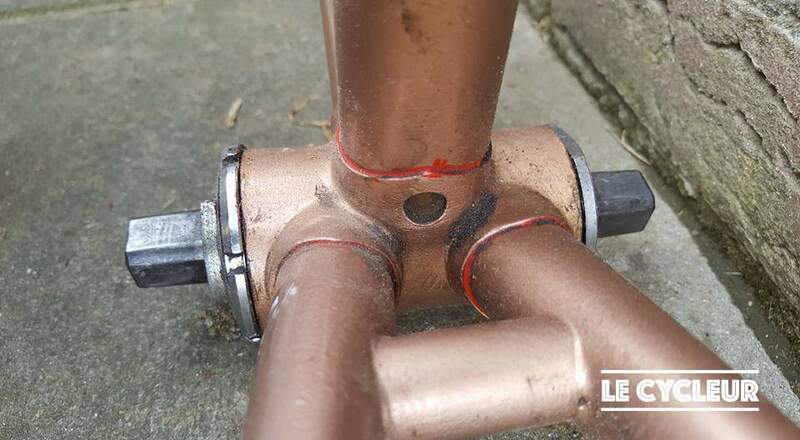 One De Rosa track frame that was ridden by Eddy Merckx, probably repainted by Charles or a contractor and then resold. 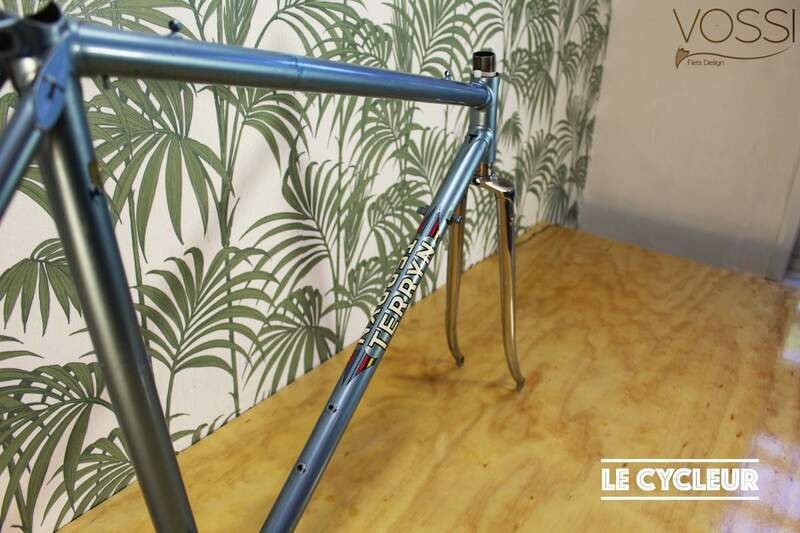 I will write a separate blog post on that particular bike soon. 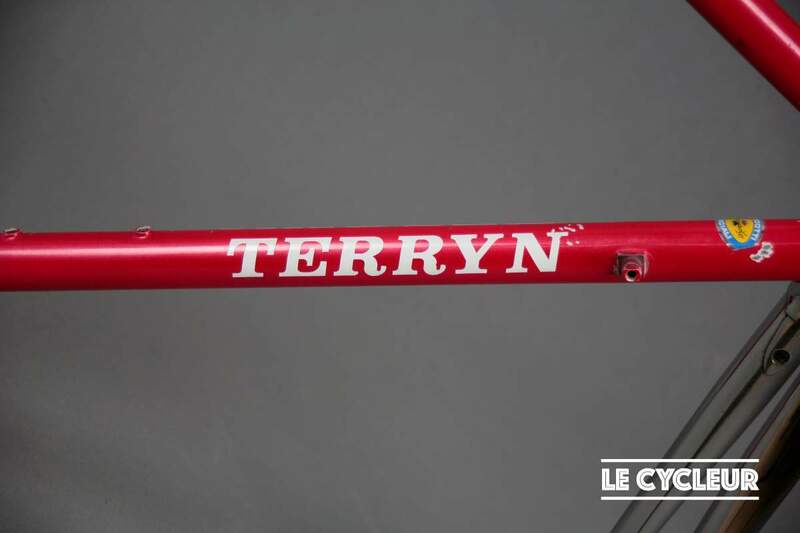 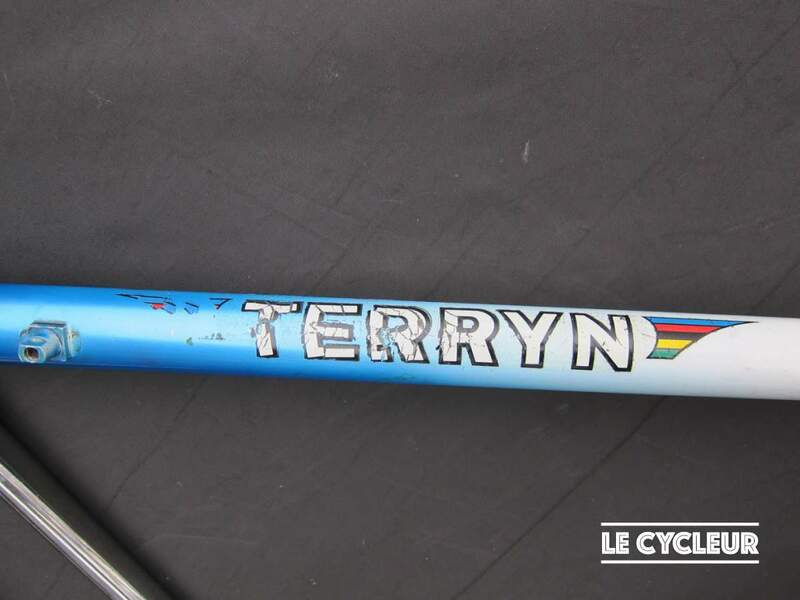 The second frame (below) was ordered directly from the Terryn shop in Anderlecht. 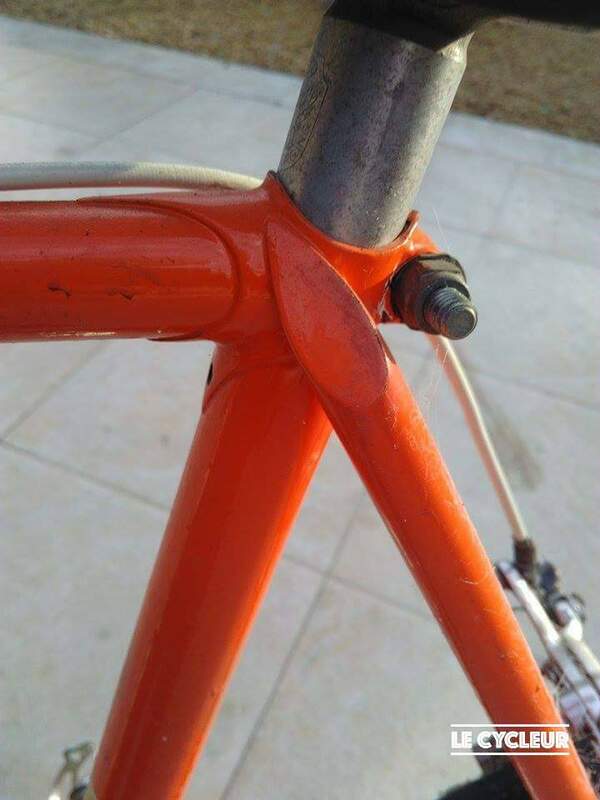 A closer look shows that it is a rather customized early 70’s (73?) 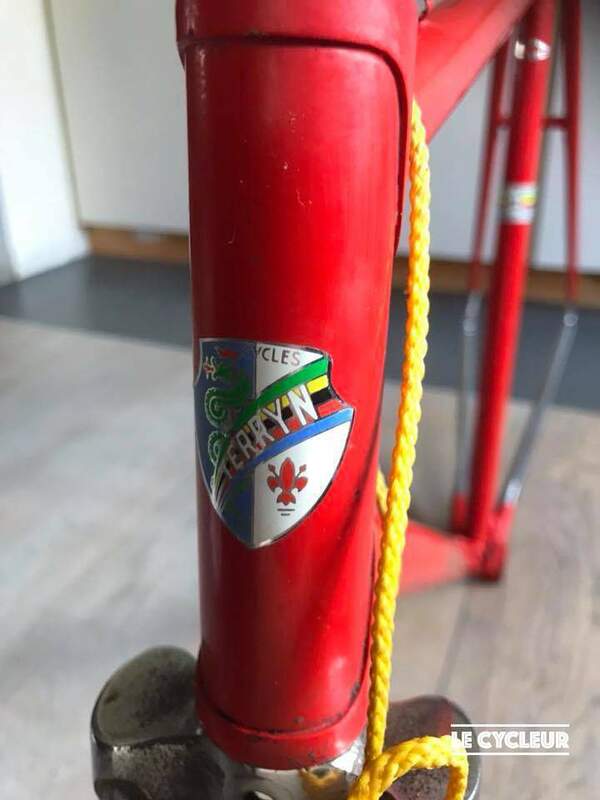 De Rosa. 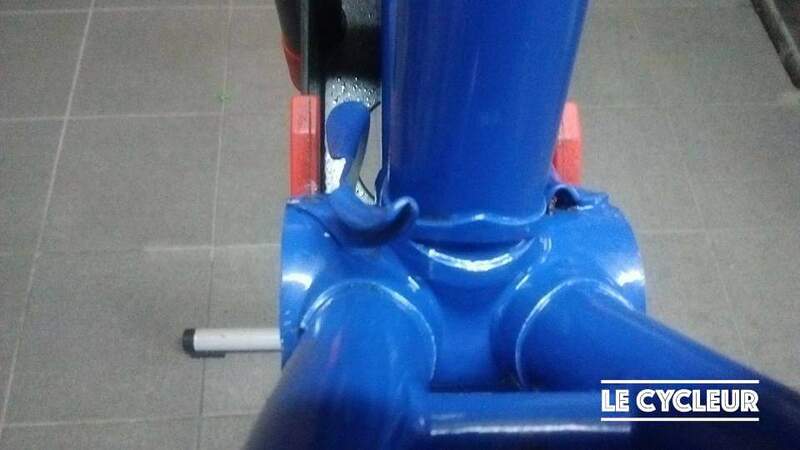 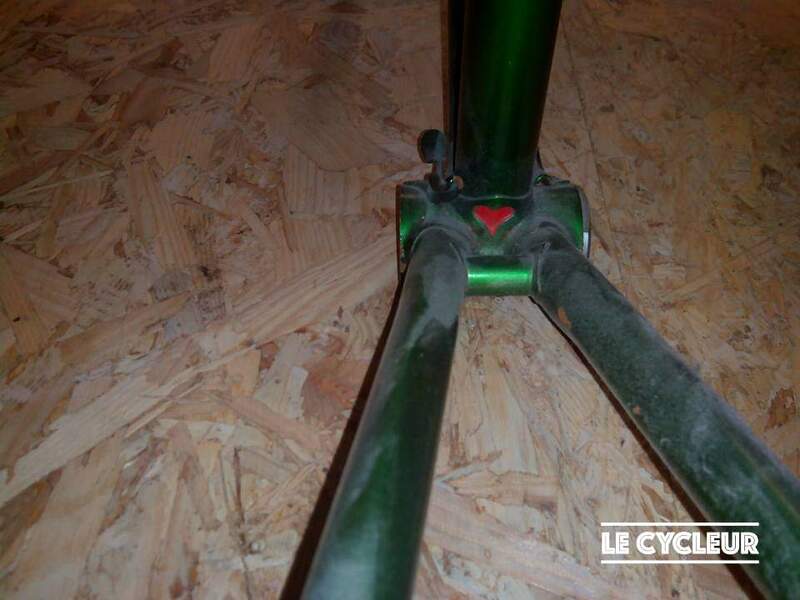 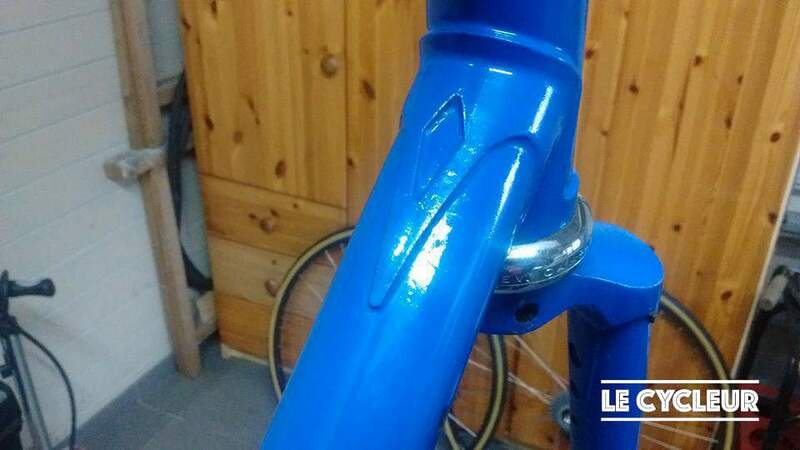 This frame has had some modifications: The Belgian flag on the seat tube was added later by the owner. 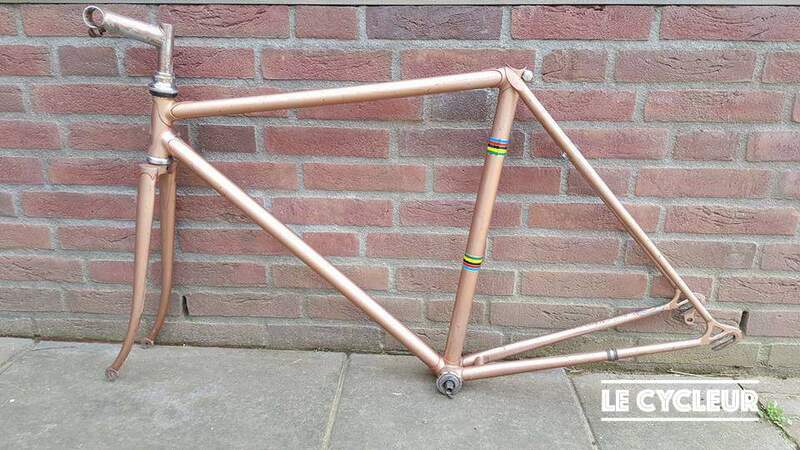 The first owner was a great Belgian racer of which we have no info at all haha. 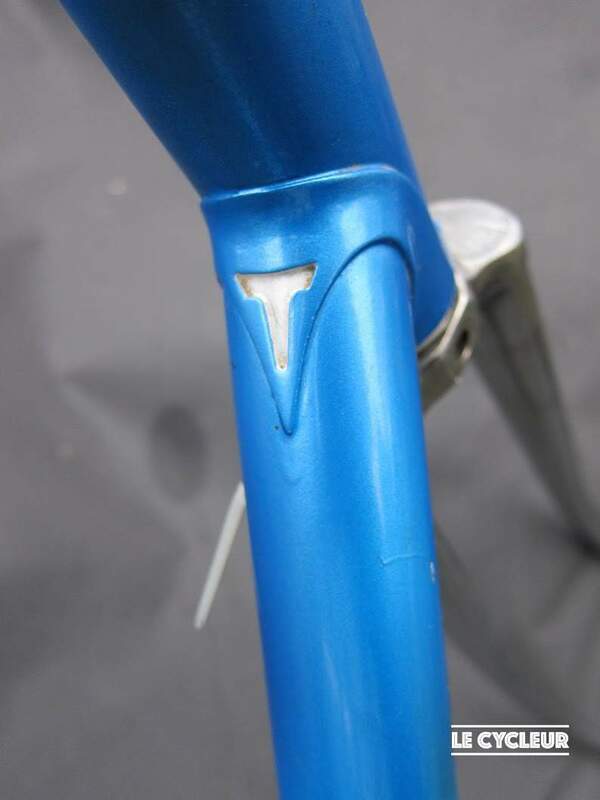 The seat stay caps are different from regular De Rosa frames. 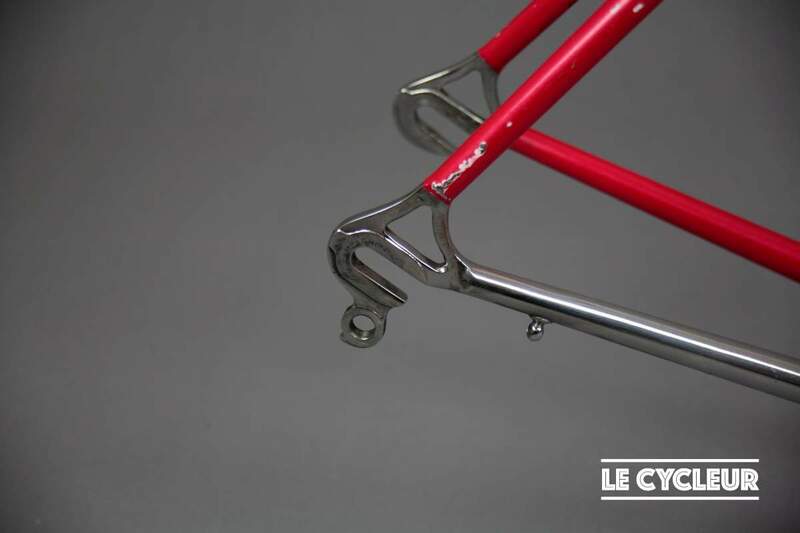 This pretty little red thing is rather special, it has special formed chain stays, no dents on them but a very clean flat spot in the tube running over most of the length. 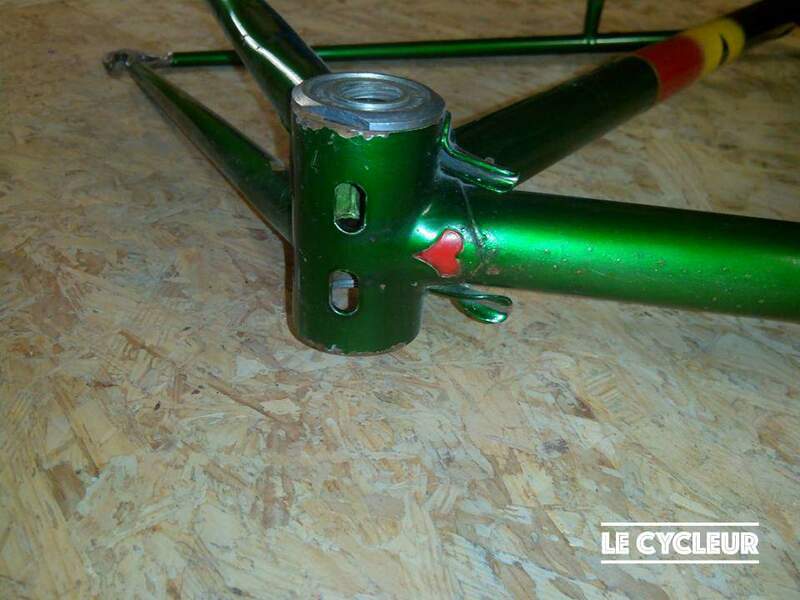 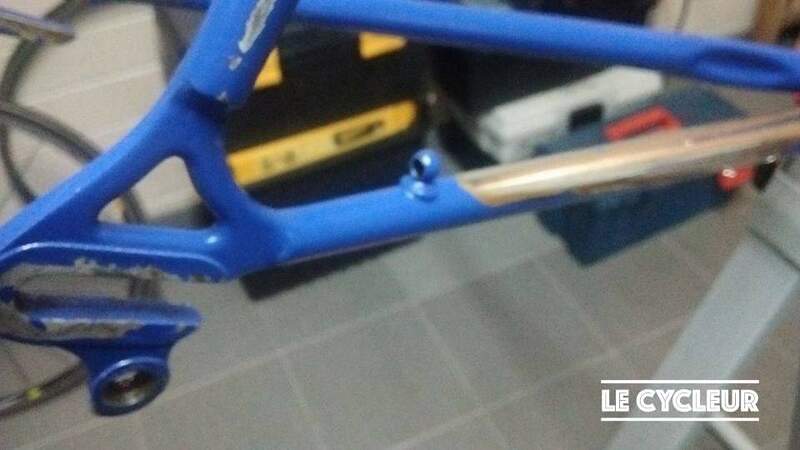 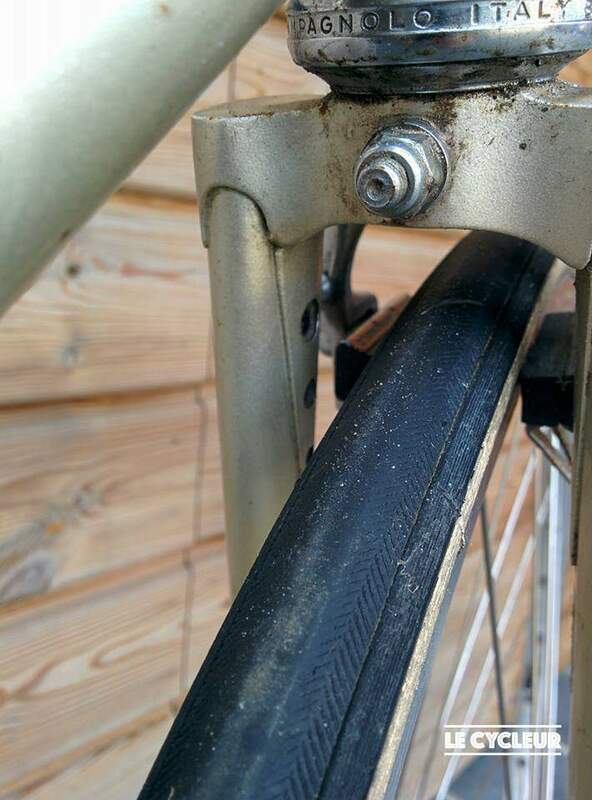 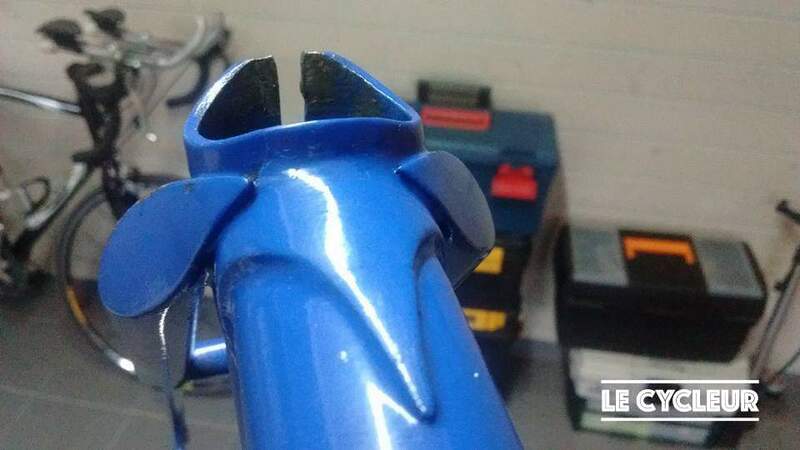 According to Jan this one was ordered with the seat stay tubes attached to the seat lug, he doesn’t seem to like this type of construction but customer was (is) king so they made what they wanted.